Let’s face it, just about everyone has problems at work, family issues, personal struggles, and just stress from day-to-day tasks. People have a lot to deal with so it’s normal to have some negative thoughts pop into your head. But if you seem to concentrate on the bad moments much more than the good ones, it could lead to consistent negative thinking, which could spiral into anxiety or depression. Or you may already have anxious tendencies that are driving the negative thinking. 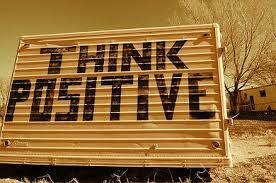 Do have a negative attitude or negative thoughts too often? When you are in this “negative mood”, helping yourself lose these feelings can seem almost impossible. But, impossible as it may seem to help encourage yourself, it is very important to recognize your negative thoughts, learn from them, and try to shift your thinking to be more positive. If you can learn how to control your negative thoughts now, it can help you deal with situations much better later in life too. Here are some helpful tips about overcoming the draining persistent negativity. Making a negative evaluation about an ambiguous situation. For example, when you say hi to someone in a noisy room and they do not respond, you automatically think they are ignoring you or don’t like you, rather than think they may not have heard you. Once you realize that you are thinking negatively, stop and address it. Try to understand why you are thinking that way. Does the thought make sense? Is it a real thought or an illusion you are creating in your head? Does this thought help me? Realize you are only thinking the bad thought such as, “I am stupid” but really it is “I am having the thought that I am stupid.” Everyone has negative thoughts, but it is important to recognize the negative thought so you can then learn why you are having it and be able to do something about it, learn how to move past it, or learn to ignore it. Don’t ignore your emotions, but sometimes you need to ignore your negative thoughts. Sometimes negative thoughts are caused because you are feeling sad, hurt, or disappointed about a certain situation, which is natural. Here you can realize that this thought comes from an emotion you have. It is important to recognize your emotions and why you are feeling this way. Then you can acknowledge your feelings and learn how to deal with them. But that thought is not your emotion; you need to separate them. You may think “I’m so stupid and everyone else thinks that too”, but that is a thought not an emotion. The emotion is feeling disappointed, maybe because you didn’t do as well as you know you could have on a project at work. Your thought is what your mind creates when it wants you to dwell on your disappointment. Instead, you should acknowledge the feeling of disappointment, and know that you can move past it, but you don’t need to beat yourself up with continuously thinking bad thoughts like, “that means I’m no good” or “everyone thinks I’m stupid”. 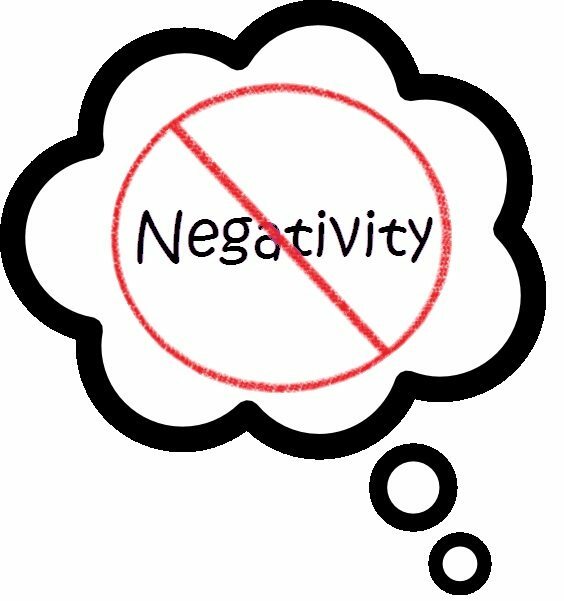 We can get caught up in negativity so much that it takes over and these negative thoughts seem to make complete sense as we say them to ourselves in our head. But when you really rationalize it, you may come to realize that maybe the situation or statement is not actually as bad as your thought said it was. Try writing a negative thought out on paper and read it back to yourself as though it was a friend telling you his or her own thought. For example, maybe you think, “I asked my neighbors to water my flowers while I was away and I came back to dead plants. They did it because they don’t like me, and maybe no one likes me. ” If you knew that is what your friend was thinking, what would you tell him or her? You might not see the same situation the same way. Sure, you don’t want to make light of his or her feelings, but you may think that the thoughts are not even accurate. People with anxiety typically jump to negative conclusions in vague situations, even when there is nothing to prove it. It could be that the neighbors forgot to water the plants or they didn’t realize how often they needed to be watered. If they didn’t care to pay much attention to your plants, it doesn’t necessarily mean they don’t like you. Studies show that if you practice thinking positive about things, even if it is forced, the next time you have an option to either have a negative thought or a positive one, the chances are it will be the latter. It’s okay to be optimistic even during a bad situation or while you are in a bad mood. Give it a shot and it might help you realize the thing you were so down about might not be as bad as you think. Next time you hear yourself saying, “Everything always goes wrong for me! Now my whole week is ruined” when the washing machine breaks or “I hate my job and my coworkers are out to get me” when you’ve had a bad day, stop and think about why you are having those thoughts and if you can try to look for the positive instead. Try to become resilient, so even though you can acknowledge when you are sad or some other negative feeling, you can still see optimism and what you are grateful for too. Ultimately, to really help yourself deal with thinking negatively or other feelings of anxiety or depression, speaking with a licensed counselor is best. They are able to talk to you one-on-one to discuss the emotions behind the thoughts. Counselors and therapists can help you see things in a different light by helping you understand how to overcome these feelings and lessen the negative thoughts. They are professionally trained to help people get through anxiety or depression to reduce it from interfering in your life.